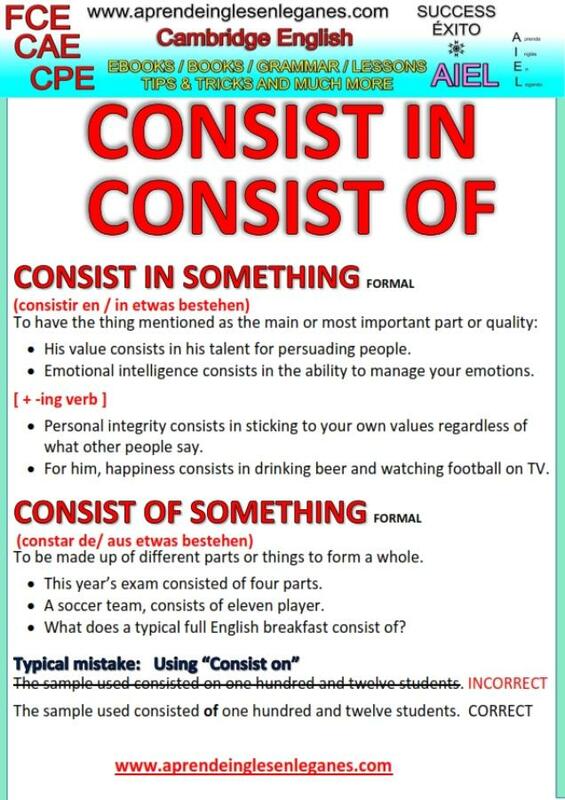 What is the difference in meaning between the Phrasal verbs "CONSIST IN" and "CONSIST OF"? Is "CONSIST ON" correct? Have a look at the grammar sheet below to find out .